Confirmed to perform at The Gorge Amphitheatre are Blake Shelton, Miranda Lambert, Dierks Bentley, Dwight Yoakam, Sara Evans, Thompson Square, Tracy Lawrence, Reckless Kelly, Kix Brooks, Brantley Gilbert, The Lost Trailers, Steve Holy, Johnny Reid, Uncle Kracker, Thomas Rhett, Jon Pardi, Morgan Frazier, and DeeJay Silver. More performers are rumored to be announced. Watershed will not only feature performances by the artists mentioned, but will also include late night sets, jam sessions, and impromptu collaborations. The Gorge Amphitheatre is a two-hour drive from downtown Seattle, and is regarded by fans and musicians as one of the best concert venues in North America. He looked hot, sounded great, and did I mention he looked hot? Award-winning country artist Dierks Bentley drew a strong turnout at Easy Street Records this afternoon, a special performance in support of "National Record Store Day". And, Seattle Gay News was there front and center (actually, front and left). Wearing tight jeans (thank you!!! ), ash-colored T-shirt, navy blue baseball cap and black worn-in boots, Bentley and a full band opened with "Am I The Only One" from his newest album Home. He followed with the title track from 2009's Feel That Fire. Bentley, currently on tour and performing tonight at Everett Events Center, told the crowd he used to go into Circles record shop in his hometown of Phoenix growing up. Those memories of listening to records in a small, independent music store inspired him to sneak into Seattle for a 40-minute performance on a stage half the size of his usual dressing room. "Up On the Ridge", the title track from his 2010 bluegrass CD, featured great fiddle work from Dan Hochhalter. After playing the song, Bentley did a 180-degree turn that prompted an audience member to shout "Thanks for turning around"! She took the words right outta my mouth because Dierks Bentley has the best backside of any country star. Bentley mentioned to those gathered that years ago he hopped on a flight from Las Vegas to Hawaii to see two of his idols perform together, U2 and Pearl Jam. Minutes later, he invited Mike McCready (of Pearl Jam) to join him on stage for two songs, including a cover version of The Rolling Stones' "Dead Flowers". Politely, Bentley then said farewell and signed one piece of paper for someone in the front row. Then he was gone. Fans either had to purchase a copy of Home or win tickets on the radio to receive a VIP wristband, which allowed them access near the stage. Generously, Bentley autographed dozens of posters that were handed out individually to everybody as they left the store. Seattle Gay News began covering Dierks Bentley and his music since his 2003 self-titled debut. He returned the favor a few years ago with a one-on-one full interview. 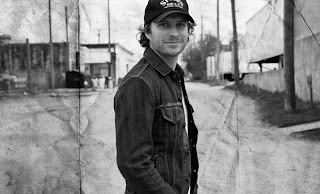 Dierks Bentley to perform in Seattle for "Record Store Day"
Country star Dierks Bentley, who interviewed with Seattle Gay News a few years back, will give a special performance in Seattle on April 21. The acoustic gig will be in honor of the nation-wide "Record Store Day", which aims to support independent record stores around the country. Bentley, a multiple Grammy nominee and CMA Award winner, released his newest album Home earlier this year. Bentley's appearance at the Queen Anne neighborhood record store will be his first in Seattle since playing the Fox Sports Network Lounge at then-Qwest Field in 2008 (read our review: http://www.sgn.org/sgnnews36_20/page28.cfm). Previous to that, he's performed at The Showbox Market. He's also performed outside of Seattle, at Everett Events Center and the Puyallup Fair. More details on Dierks Bentley's upcoming special performance coming soon. Seattle Gay News will be in attendance for tonight's sold out Radiohead concert at Key Arena, the group's only Northwest appearance on this tour. The three-time Grammy winners have pioneered the alternative rock scene for over two decades with such classic albums as OK Computer, Kid A, Amnesiac and last year's The King of Limbs. 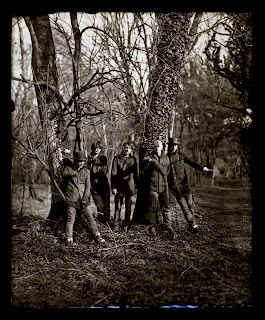 Their international hit singles include "Creep", "Karma Police", "Airbag", "I Might Be Wrong", "Jigsaw Falling Into Place" and "Lotus Flower". Lead singer Thom Yorke has also been successful as a solo artist, earning widespread acclaim and a Grammy nomination for 2006's The Eraser, which contained the mesmerizing track "Analyse". Look for a review of Radiohead's performance in Friday's issue (April 13) of the Seattle Gay News. And, if traveling to Key Arena tonight avoid tragic congestion by taking the monorail from downtown to Seattle Center ($5.00 round-trip). 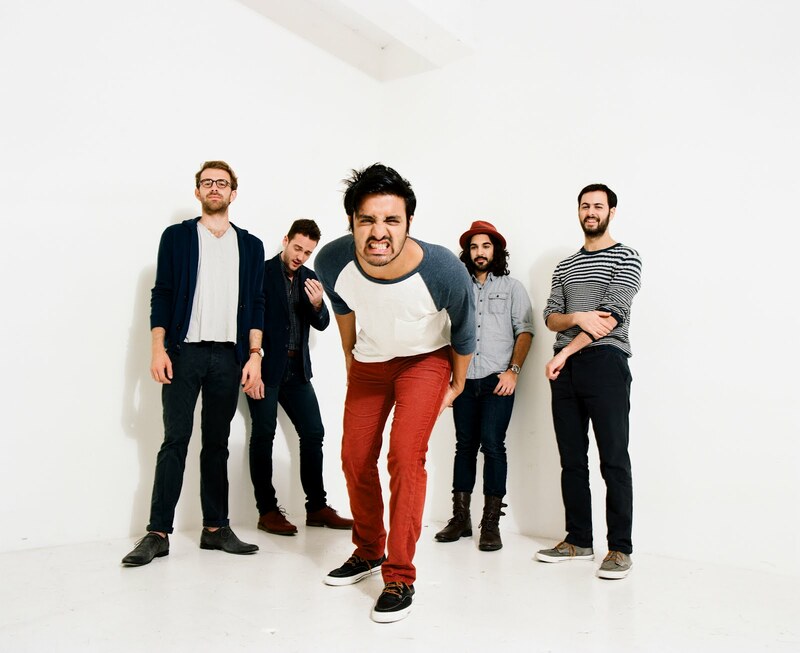 Proving their bigness, Young the Giant are currently on a 46-date sold out national tour. The NorCal pop-rock band, whose second hit single "Cough Syrup" was featured in an emotional scene on Glee's mid-season finale, has grown leaps and bounds in the past year alone. In December 2011, Seattle Gay News sat down with drummer Francois Comtois backstage at a holiday show. Part of the interview was included in our "Best of Music 2011" issue, and a second portion of the interview prints in this week's edition (April 6 street date). In the interview, Comtois states his opinion on gay marriage and tells us how many pairs of socks and underwear he packs before going on tour. Young the Giant performs this weekend in Seattle (April 7, Moore Theatre). The concert is sold out.